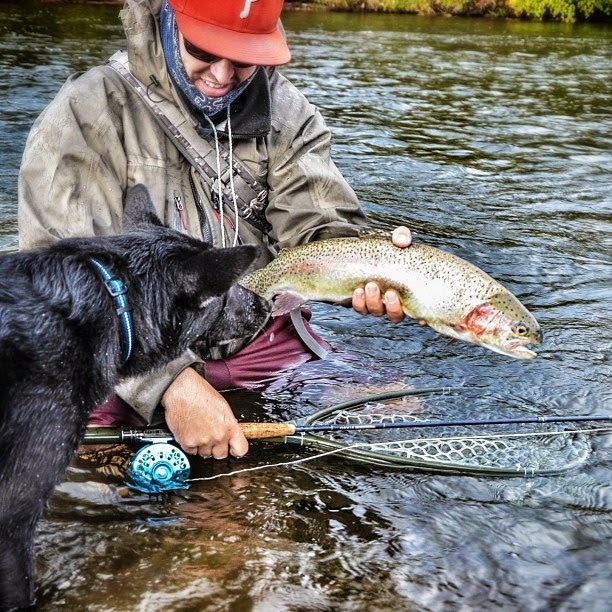 Fishing in inclement and harsh weather can be productive and rewarding time on the water. Scratch that. Fishing in inclement and harsh weather can be productive and rewarding time on the water when you have the right equipment. Fishing in cold and/or wet weather requires a quality jacket to protect the portions of your body that aren’t covered by waders. Redington’s Sonic Pro Jacket is one such jacket. Constructed of 100%, 4-layer waterproof and breathable fabric, the Sonic Pro Jacket features the ultrasonic welded seam construction that is found in Redington’s extremely durable Sonic Pro Waders. The Sonic Pro Jacket boasts seven pockets, including: four spacious zippered, chest pockets, one internal zippered chest pocket, an open internal chest pocket, and a huge double zippered back pocket. Additionally, there are fleece-lined handwarmer pockets inset behind the external chest pockets. The Sonic Pro Jacket also features a waterproof centerfront zipper and an oversized fully adjustable hood that rolls up and tucks into the collar. Finally, perhaps my favorite feature are adjustable cuffs, that when properly fitted, provide a water-resistant seal for your arms. Since I live in Colorado, I don’t experience too many all out rainy days (until recently). However, Colorado is the land of tailwaters and has a plethora of winter fishing available. 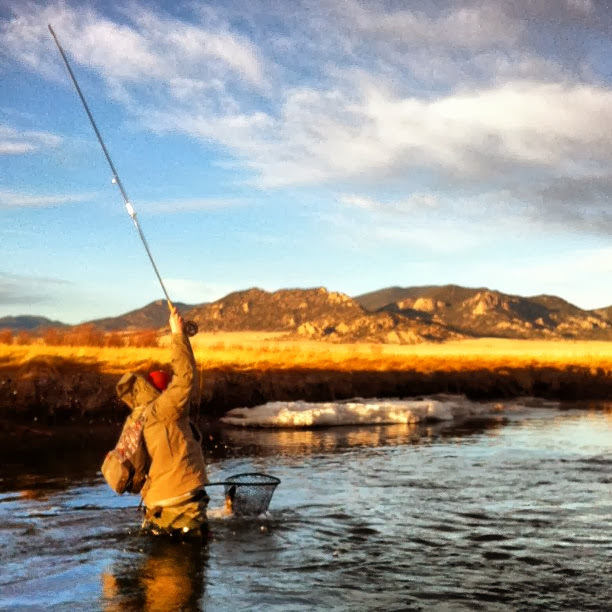 Winter fishing conditions in Colorado can often times be described as inclement. As such, over the past 10 months, it is my opinion that the Redington Sonic Pro Jacket has been put through it’s paces. 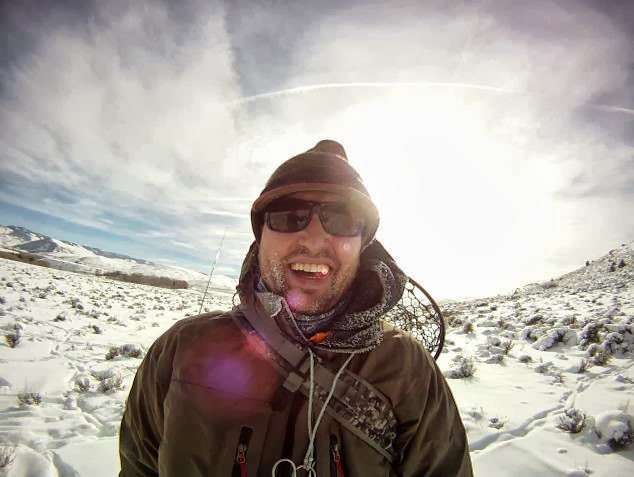 After nearly a year of use, I have nothing but positive things to say about the jacket and would definitely recommend it to anyone in search of a high quality, durable wading jacket for the upcoming fall, winter and spring angling seasons. Additionally, at $299.95, the Sonic Pro Jacket is, at minimum, 100 dollars cheaper than direct competitors similar offerings. Yet another quality product from Redington at an affordable price. It’s seemingly what they do. Bosley gets a good sniff in. Read on for my detailed take on the Redington Sonic Pro Jacket. A jacket is either waterproof or it isn’t. The Sonic Pro Jacket is waterproof. Denver receives 300 days of sun a year, so in a typical year, there aren’t a great deal of opportunities to test a wading jacket in the rain. However, when the opportunity has been presented the Sonic Pro Jacket has stood up to the challenge. Perhaps my favorite feature in the jacket are the adjustable cuffs, that when properly fitted, provide a water-resistant seal for your arms. Sonic Pro Jacket experiences some -14 F temperatures. In the winter, when water temperatures hover at or slightly above freezing and ambient air temperatures can sink below zero, keeping cold water off insulating layers is of the upmost importance. When fitted properly, the adjustable cuffs create an excellent seal that keeps the insulating layers dry and allows for a more comfortable day on the water. In addition to utilizing this jacket during days on the water, I have also used it as a rain jacket during the historic rains of early September here in Colorado. My girlfriend and I sat in torrential rains from 5 PM to 12 AM for a concert at Red Rocks. The only complaint I have is that I didn’t pair the Sonic Pro Jacket with my Sonic Pro waders. Had I done so, my lower half would have been dry as well. As detailed in the second paragraph of this review, the Sonic Pro Jacket features seven spacious pockets. During my days on the water with this jacket, I primarily made use of the four zippered, chest pockets. All four pockets are spacious enough to hold a large 8-row C&F Design fly box. With all of the available storage in the Sonic Pro Jacket, you can replace a chest, hip, or sling pack if you so desire. The fleece-lined handwarmer pockets that are inset behind the external chest pockets are serviceable. One of my only gripes with the design of this jacket is the thickness of the fleece lining. It is a little on the thin side and leaves a something to be desired when the hands need a warm home during a cold winter day. In addition to the plethora of storage, the Sonic Pro Jacket boasts an oversized and fully adjustable hood. On it’s own without adjustment, the hood is big and unwieldy. However, with a quick adjustment, the hood fits perfectly around a fitted hat and/or knit hat and allows for the comfortable, continued pursuit of our finned friends. The Sonic Pro Jacket has a relaxed fit. I am 6’2” and 215 pounds. The Sonic Pro Jacket in Extra Large was the appropriate size for my frame. It has ample space for layering options depending on the temperature. In addition to allowing for the user to wear the appropriate layers, the large rear storage pocket serves as the perfect storage space for those additional layers as the day progresses. I found the Sonic Pro jacket to be comfortable when casting, walking, and stalking trout. It has been expressed to me by those who I fish with, that I am abnormally hard on my gear. With that in mind, the Sonic Pro Jacket has stood up to all my apparently abnormally hard tests. The zippers, the seams, the stitching, the pull strings are all intact and performing just as well as they did when I pulled the jacket out of the box 10 months ago. I feel like every review of Redington gear I publish ends in a similar fashion. But, rightfully so, I suppose. Durable, well-designed, and more affordable than it’s direct competitors, the Sonic Pro Jacket is worthy of such high praise. With fall upon us and winter knocking on the door, the Sonic Pro Jacket is an excellent piece of apparel to make those foul weather days more enjoyable. The more comfortable you are when fishing in the cold, the more fish you’ll catch. It’s math...and science. Great review Ivan. SInce you discussed Colorado and its "plethora" of winter fishing availability, I think I can safely recommend the French phrase "Briser Fer" for future use. Succinctly, it translates as "Break Iron". The phrase is used for folks that are somehow capable of destroying everything they touch. Since your friends have already commented on your abnormal hardness on wearing out equipment, I think you can soften your self-criticism next time by simply noting that you're simply a "Briser Fer" kind of guy. Great piece of writing and presentation of in-the-field factoids. Does it come in Midnight Blue?